I have to admit I've been a bit pig headed about this cocktail. I've considered it a gimmicky martini and only mixed it with gin flat out refusing to consider that vodka could have any place in a cocktail. Well, then I bought a tiny bottle of vodka and gave it a shot and ended up being quite impressed, the vodka does seem to add something to the balance of this drink. Stir everything with ice and strain into martini glass - shaking my be James Bonds preferred method, but why bother when stirring keep the drink crystal clear? 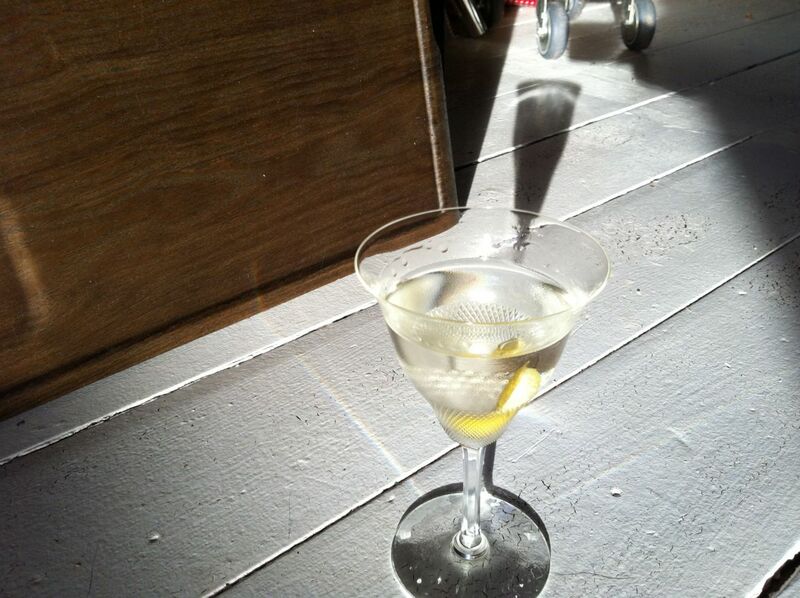 Another way at looking at the recipe is: Two parts gin, to one part vodka to one half part dry vermouth. But Mr. Ian Flemming was quite specific and wrote Kina Lillet instead of dry vermouth in Casino Royal where the drink debuts. Kina Lillet has gone out of production and Lillet Blanc is the closest living cousin. Tiki Coquitonaut for the Christmas Holidays! SideBlog: If you can organize an expedition that reaches the North Pole by April 17, you can have free gin for life.